"You know how social media is when you press the wrong button…and…"
Serena Williams announced her pregnancy by accident when she hit the wrong button on her social media account. The sportswoman announced last week that she and fiance Alexis Ohanian were expecting their first baby by sharing a selfie on Snapchat featuring her posing in a yellow one-piece swimsuit with the caption, "20 weeks". However, during a TED Talk event on Tuesday night, Serena admitted she hadn't intended to announce that she was pregnant when she did. "Actually it was an accident. I was on vacation just taking some time for myself and I have this thing where I've been checking my status and taking pictures every week to see how far along I'm going," Serena explained as she was asked about the picture while being interviewed by Gayle King. "I didn't tell a lot of people to be quite honest and I'd been saving it. And you know how social media is when you press the wrong button…and…"
Gayle then interjected: "There it was!" "My phone doesn't ring that much, and thirty minutes later I missed like four calls and I'm like, ‘that's weird,' and then I picked it up and I was like, 'oh no!'" Serena continued. Serena has been documenting her pregnancy as it progresses, which is why the snap had "20 weeks" written across it. And despite the announcement coming earlier than she wanted, the tennis champion was only going to wait another week to break the happy news to her fans. "I was just going to wait literally just five or six more days so that's okay," she smiled. "Every week I just take a picture and save it and I've been so good about it and this was the one time I slipped, but it's okay." Gayle also asked Serena how she's feeling now she's in the second trimester of her pregnancy, and whether she has been suffering from any morning sickness so far. "I've been so very fortunate. 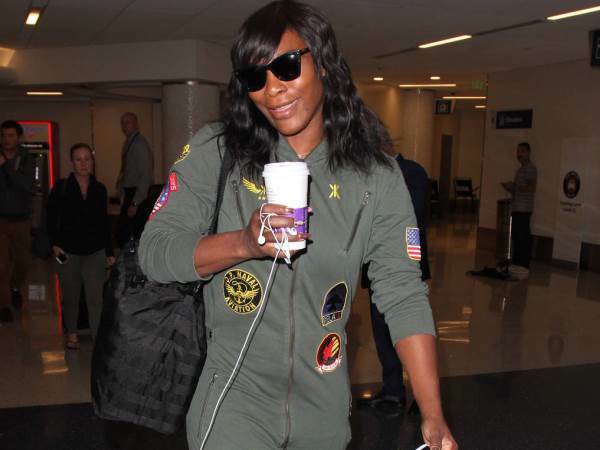 I haven't," Serena replied, before adding with her plans for the future: "Obviously I'm going to have a baby and I'm going to stay fit and kind of come back and play tennis and keep working on my fashion line. That would be really fun." I'm a 34 year old woman looking to meet men between the ages of 34 and 50.